An astrological chart reading with Carolyn can help you understand what the future holds for you. 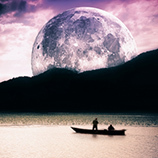 A personalized astrological reading allows you to make the best choices for yourself, resulting in a happier future devoid of negative influences. While the skeptical think astrology readings are silly or even downright false, it is important to note that astrological readings are available everyday in almost every newspaper or on the Internet. 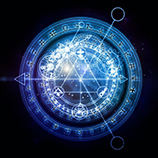 Astrological readings, like a daily horoscope, can even be e-mailed to you on a regular basis. An astrology chart reading with Carolyn is a far more detailed and personalized reading that helps you understand the role the planets, the sun, and the moon play in shaping your future. Anyone who thinks it is preposterous that the heavenly bodies could impact our daily lives – present or future – should remember that the moon affects the earthly tide on a daily basis. Realizing how important a role this one body plays in regulating just one aspect of life on this planet illustrates how strong an impact all the heavenly bodies can have on each and everyone one of us throughout our lives from the moment we are born. Being able to understand how these other worldly bodies will affect your life allows you to take control during the bad times and empowers you to guide yourself to make the best out of your life. 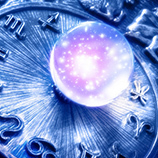 Working with our insightful astrologer allows you to harness her special psychic skills and helps you understand your astrological predictions in such depth and detail your present will unfold in ways you never thought possible, allowing you to take command of your future. Determining the position of the planets at the exact moment of your birth allows you to understand and find out how they affect you in the present and will affect you in the future. Having this information gives you the ability to affect your destiny and make active, positive choices for your life.